Beautiful studio in downtown Atlanta offering hourly & daily rental, plus monthly membership bulk options. Pics and more info available at www.ccelevn.com 945 sq.ft, tons of natural light, free parking, rooftop access with city views & pool, bathroom, hair& makeup station, sitting area, equipment available. Assistant, makeup artist, and hair stylist are also available. King Plow Arts Center began as an antiquated plow factory, but has been transformed into an arts community and center for commercial, performing and visual arts. In 1990, the owners designed a plan to build affordable live/work studios, commercial artist spaces, art galleries, areas designed for the performing arts, and a restaurant within the buildings while preserving their historic and architectural significance. 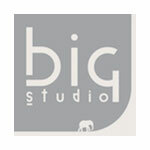 We have two rental studios on premises, with ground level access to both, and drive-in access to the larger Studio 1. Kitchen facilities, and dressing rooms are included, and fast access to rental equipment and supplies makes studio rental extra convenient. Our digital imaging department has a wide range of digital cameras, computers and LCD projectors available for rental. We can also rent you a complete digital studio system to go direct digital for your clients. Centered in the Atlanta photo district, we have close access to professional labs in the area. Catering and other support services are available as well.